Home - Anglian At Hampton Court? Yes, it has got to that time where we have to plan for next year and at Anglian Home Improvements, Hampton Court is one project at the top of the list. We have submitted our entry and are eagerly awaiting a response from the Royal Horticultural Society and the Hampton Court organisers. 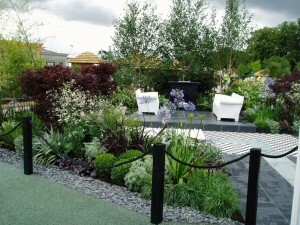 The Hampton Court flower show is a prestigious show, displaying the most unique and interesting gardens, created by influential, knowledgeable individuals. It is taking place this year starting on July 5th. With this taken into account Anglian are working with the most awarded gardener in the UK, a gardener of celebrities such as Michael Owen and Philip Schofield, a gardener who feeds his plants vodka, bananas and even Viagra to keep them happy. David Domoney! With Anglian and David Domoney working together on what is going to be a challenging, insightful project, what sort of a garden are this team going to create? I cannot wait to see!! Stay posted to find out if we have made it into Hampton Court! Anglian Home Improvements raising the standards since 1966. For more information on our products, visit our website here.